No parent - or even citizen for that matter- would ever want any mass shooting to happen to any school in the country ever again. One father, however, feels that in the unwanted and tragic instance that it does, he wants students to be safer. As such, he invented something that might serve as a shield in case of a shooting. Jason Miller came up with a “Safety Book”, as protection for children. Miller as a father has always wanted to create something “that could improve the odds for any child or person caught in a scary situation” like the deplorable mass shootings in schools. 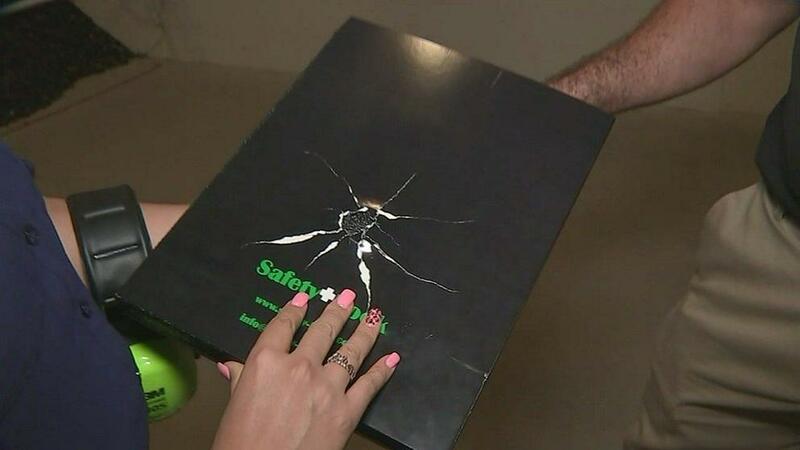 A test shows that a bullet from an AR-15 was strong enough to knock down the “Safety Book” to the ground, but upon closer inspection, it could be established that there is no penetration. Miller said he was further inspired to come out with some bullet-proof protection in such emergency cases as school mass shootings when he saw bulletproof backpacks starting to sell. He thought it was a good product, but his problem was he does not think such product would have helped Parkland High School for instance because the shooter then used a rifle. As soon as Miller retired from the blast business, he devoted time to work on his invention. He made completing his dream product his top priority. Miller explained that his intention is for children to carry his book just like any other books inside their backpacks, and to use it for protection in case of emergency. The product does not exactly come cheap. It costs about $500 and Miller said he’s also offering payment schemes, even for schools. He is the first to admit, though, the invention can not offer a 100 percent guarantee against danger. For Miller, what he is offering is just a chance at survival for any child in the unwanted case of an emergency like wild and mad shooting. Can be very beneficial, but can only work for so long. It is viable though & certainly better than nothing. Without armed guards brave enough to confront & stop violent attacks you can only hide behind a shield for so long. When faced with attack, often times it is best to attack back, these book shields could be used as protection to close the distance & engage the attacker(s). If we view ourselves as prey, i.e. cower, run & hide… This naturally frightened behavior however does allows the consequences of these attacks to become much more devastating. As we have witnessed so many times before. Sometimes you have to want to fight for your life & do so in order to survive. Sad as it may be, in this world today many are out of alignment & seem to want to cause misery, pain, suffering & death. This opportunist is trying to sell these amateurish iieces of junk for $500 apiece, when the entire cost to manufacture one of them is only $14. This could be an alternative way to protect our children. Even if the child was fleeing with the backpack on it would provide center of mass protection similar to a ballistic vest. In the situation where the kids were hunkered down they could use them together as a sort of shield. No matter what it will lesson the injuries in a mass shooting event. Cannot be a bad idea till the kids start some sort of bulletproof challenge. You know eat a spoonful of cinnamon then a tidepod all while holding their breath to try to pass out prior to trying to hit the backpack. Or something along those lines. One problem, what if a potential shooter scavenges a couple of these books and uses them like trauma plates during his shooting?